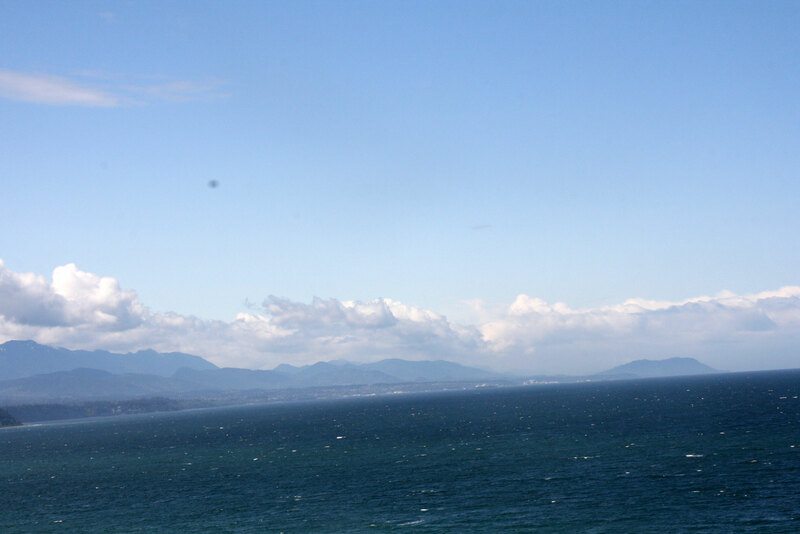 Last week we made a trip to the Pacific Northwest. David and I had lived there for nine months back in 1997, but we’d never ventured out onto the Olympic Peninsula while we were there. 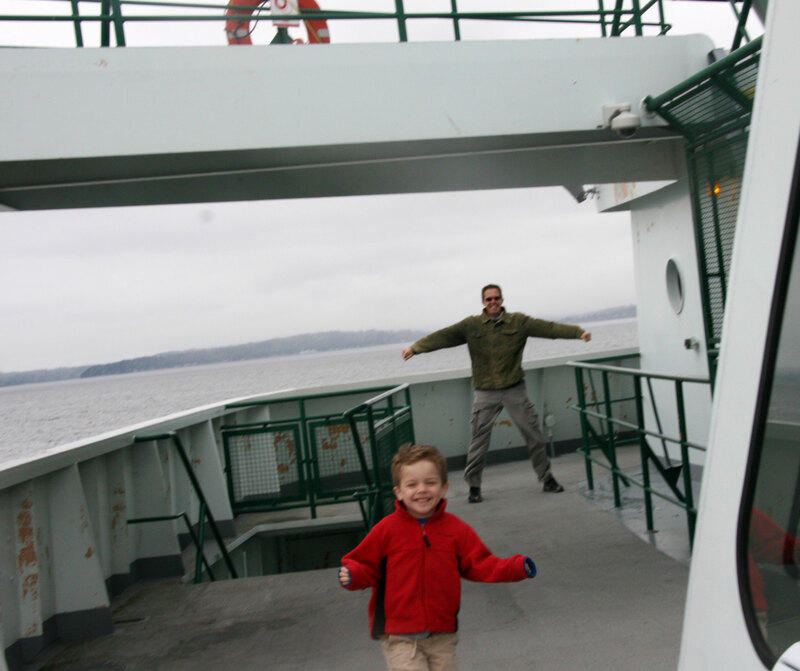 We decided we’d take Davey on the ferry to Bainbridge Island and then go out to a place I’d read about called the Dungeness Spit. 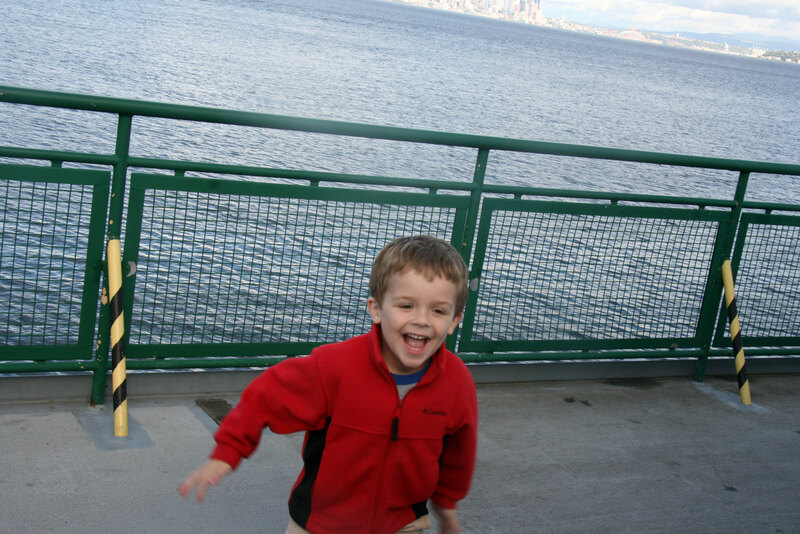 This was Davey’s first ferry ride and he loved it. We drove up into the ferry, and then we were able to hang out on the sun decks as well as inside. It was really chilly out, but Davey enjoyed looking out at the Puget Sound. We walked to the front of the ferry where it was really really windy! 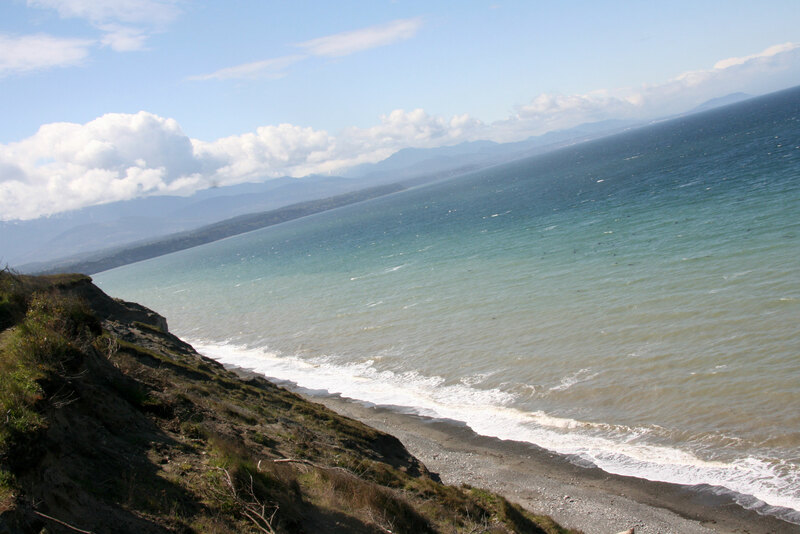 The Dungeness Spit is a long stretch “spit” of land that extends 5.5 miles. It’s the longest natural spit in the United States. It’s like a long finger of land. Here’s a picture I took that gives a little bit of an idea. It extends on around the edge for another several miles. You can hike to the end of the spit where there is a lighthouse you can tour. Families can actually volunteer to work at the lighthouse for short periods of time. One of these days, I hope we can return and hike to the very end. 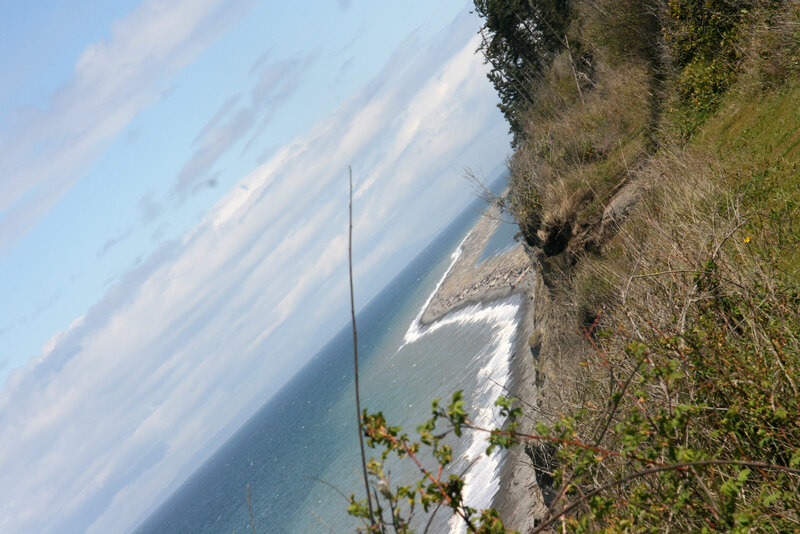 We parked and walked along a bluff on our way down to the spit. We had some incredible views. 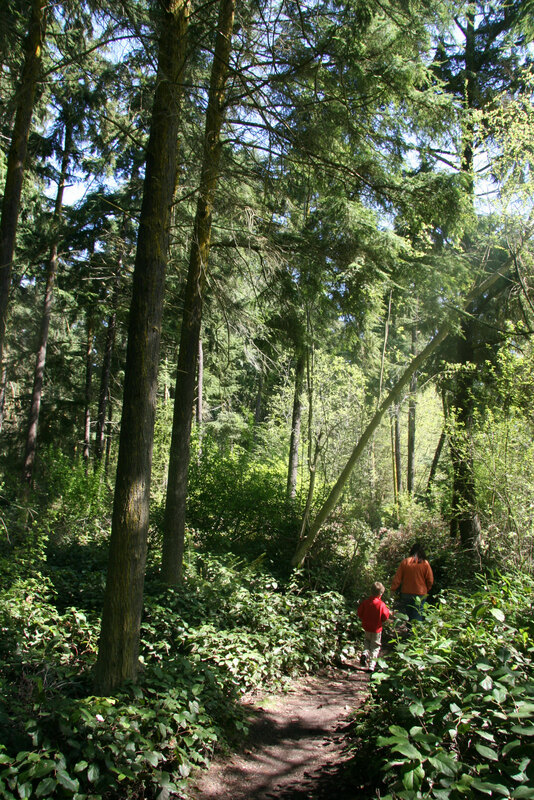 Eventually we wound into the forest and began the walk down to the Spit. The forest is just incredible. So green and lush. The Spit was covered with huge pieces of driftwood and the beach was pretty rocky. I was listening to a forest ranger though who recommended beginning a hike at low tide. She said at this time there is hard-packed sandy beach which would definitely make for much easier hiking! 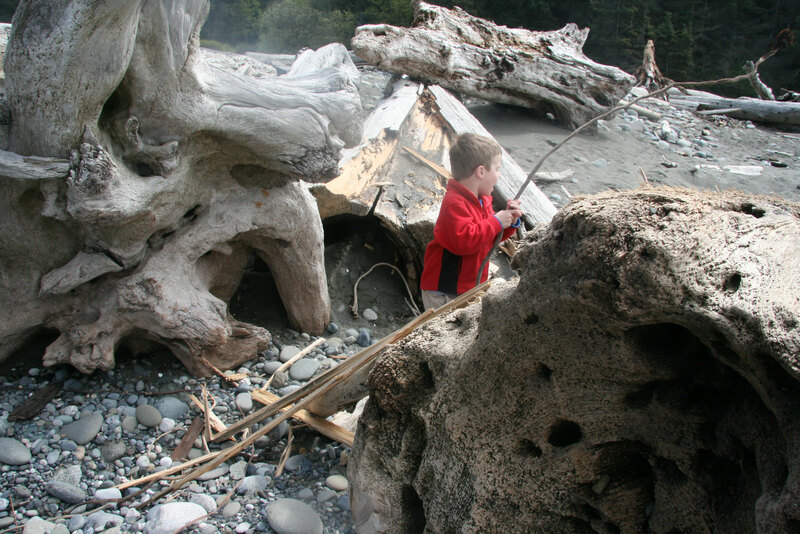 Davey really enjoyed playing in the driftwood. We played and looked around for a little while, but it was very windy and chilly on the unprotected beach, so we soon made our way back up. 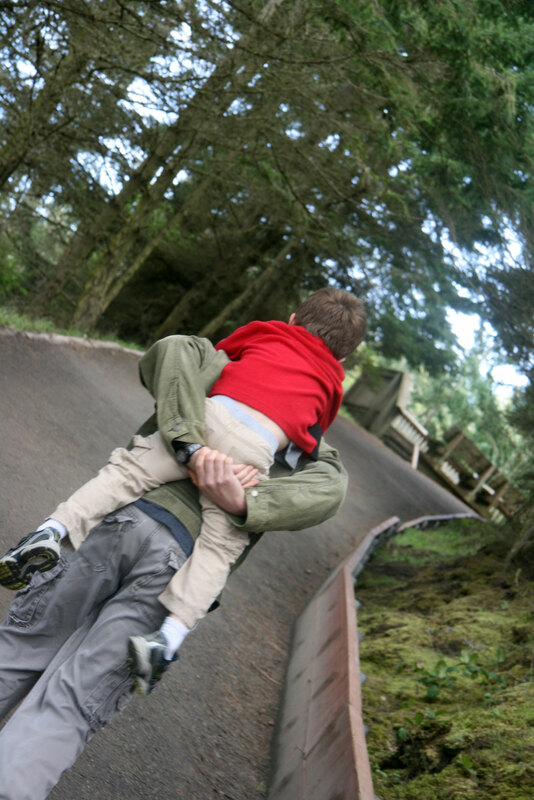 Davey requested assistance going up the hill. I enjoyed taking pictures of the light coming in through the trees and bushes. I can’t recommend this trip highly enough. 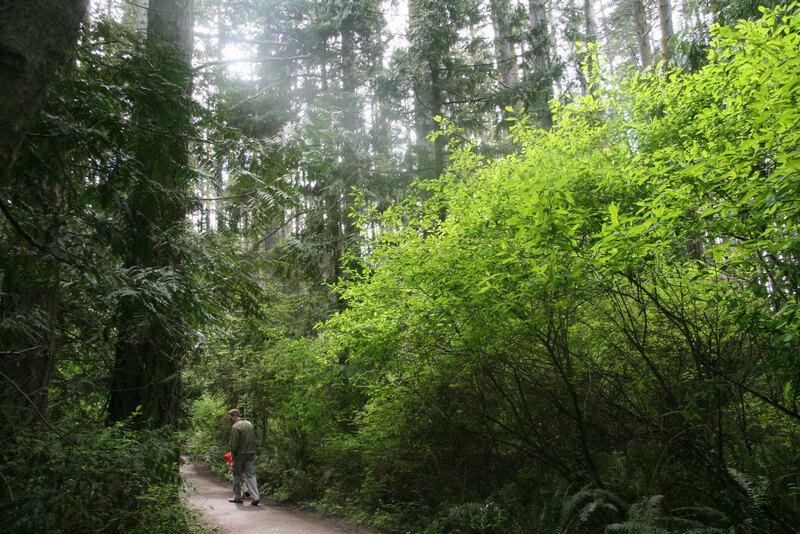 We had a little bit of trouble figuring out where the entrance to the Dungeness Spit trail was. I don’t know if we missed a sign maybe, but we just kept winding around toward the shore and eventually found it without much trouble. Davey also enjoyed the ferry ride back. He was pretty tired at this point and so was getting fairly wound up. 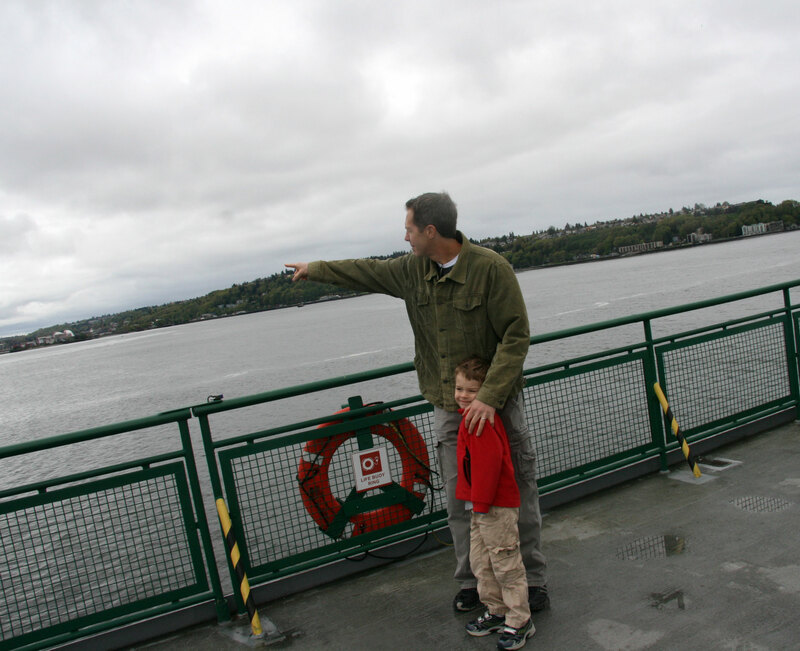 I have to recommend any ferry ride in and out of Seattle as well. 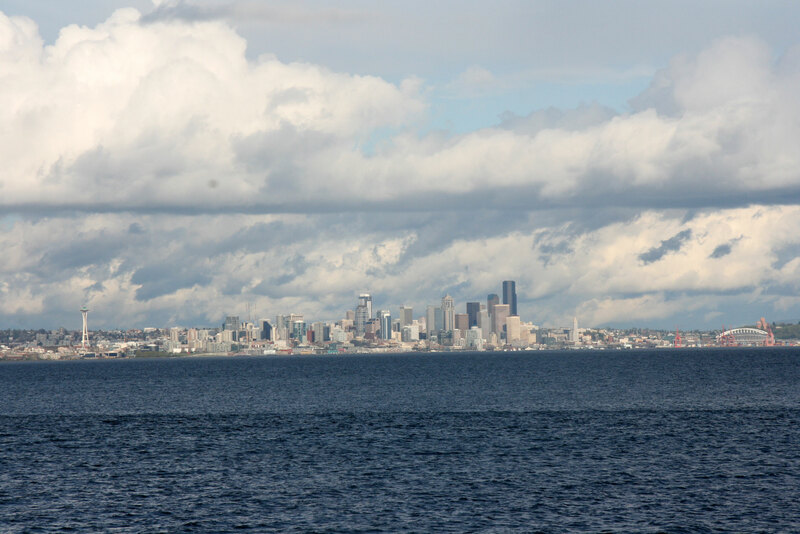 The Puget Sound is so beautiful and we loved seeing the Seattle skyline as well. This entry was posted in Explorations by cpeezers. Bookmark the permalink. So glad you enjoyed your trip to the PNW. I love it here! Hard to believe this summer will be 19 years since I moved here! I Love the forest pictures! We came into Seattle on the ferry in the evening and it was amazing.